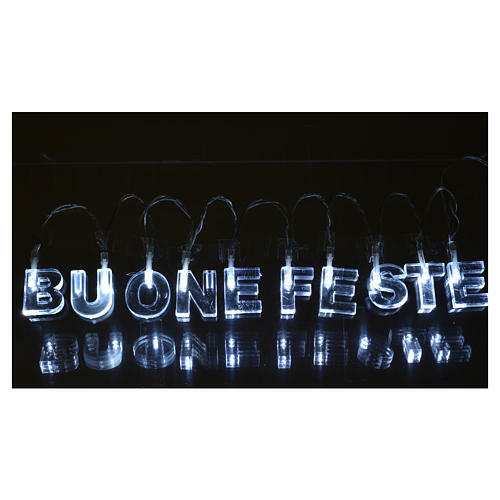 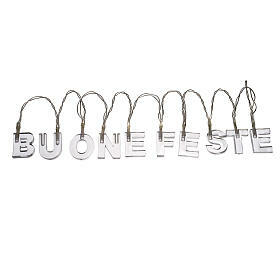 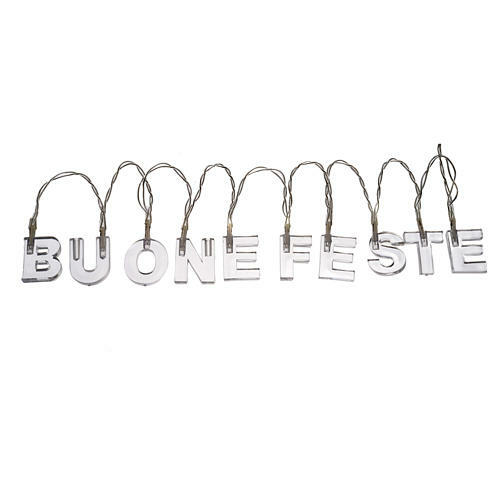 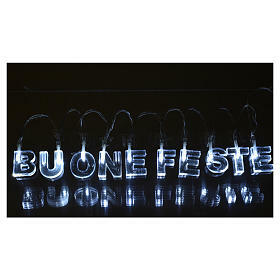 Christmas light, BUONE FESTE, (season's greetings) ice white, for indoor use. The indoor Christmas lights are ideal festive decoration for the house, the tree and shop windows. Luci originali, economiche e, soprattutto, pratiche considerata l’alimentazione a batteria. 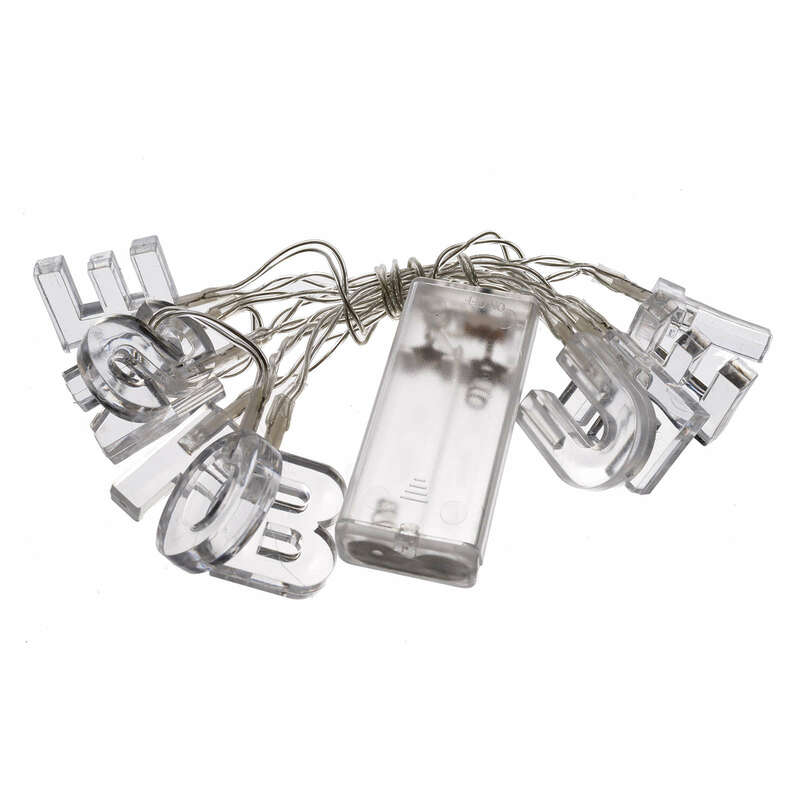 Original lights, economic and, especially, practices considered battery power.